Memoir of ending a marriage and beginning again after 50. Chapters From the Farmhouse Journal, Tales of Synchronicity and Grace is the encouraging and inspirational personal narrative of the process of decision, affirmation, and providence surrounding the life transition that is the event of a second divorce. Relating this part of her life’s journey, the author describes her slowly growing awareness that her marriage was over and that it was time to let go. Unable to face being the initiator of the pain of such a break-up, she undergoes months of indecision and uncertainty. On a quest to find her own truth she commits to spending time each day in centering meditation. This deepening practice is what leads her to find the answers to her own questions within. In addition to the emotions of the unbraiding of a relationship, she tells the story of the practical details of finding a new home, packing and moving, of negotiating the legal division of marital assets, and of ongoing financial survival on a single modest income. Each of these challenges, when surmounted with a practiced effort at balance and centered presence, surprisingly becomes an occasion of grace and gratitude. She shares her repeated experience of being surrounded by loving support from others as well as learning what it means to truly love and value herself. Her prayer for help in finding a new home is answered with remarkable detail. Practical assistance appears when needed in the form of receiving boxes for moving, setting up a Christmas tree, honest advice in car repairing and buying. New opportunities arise at just the right time and place: acquiring a new friend in her landlady, joining a writing class and the formation of a small writing group, inspiration for marketing her massage manual, coming up with the means to give her daughter a wedding gift. Personal growth occurs as she learns to steer the process of self-healing by allowing emotions and memories to surface and be attended to rather than ignored or denied. This brings balance and wholeness. New insights evolve. In a writing style that is both frank and personal, Chapters From the Farmhouse Journal treats the doubts and fears, choices and hopes entailed in the experience of the end of a relationship and the beginning of a new chapter in life. It serves to demonstrate how to let go with love and respect, and how to start over with a healthier self love and self respect. Featured in this true story are references to the real-life aids that enabled and accompanied the author during this passage of her life, including titles of specific books, the practice of centering meditation, the experiential, body-centered Hakomi method of psychotherapy, and two Cincinnati based organizations, Women Writing For a Change, and Life Success Seminars. It is the author’s intention that this book will serve as a resource that lends assistance to others who endeavor to navigate life transitions of their own with consciousness and love. A practical manual for succeeding in the massage profession. The recounting of a midlife path toward wisdom and oneness. A collection of wisdom and insights for living with awareness. A method for decoding and understanding dreams for personal growth. A memoir whose span extends, quite literally, beyond this world. Piper Mae and the Purple-y Day is a peek into the mind of a child and her delight in a favorite color. Throughout her day, Piper Mae encounters choices. The reader is engaged in guessing what her decisions will be, with the colorful illustrations revealing the correct answers. Well into her second-half-of-life adventure, Laura Lander continues to find her days ever more engaging. In 2016, pursuing a life-long dream of living in New England, she relocated from Kentucky to Maine where she writes, paints and explores her new environs. 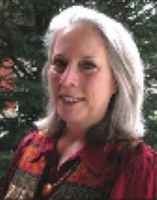 Laura is a practitioner of shamanic healing.